Merline Louise Miller, the daughter of Frank V. and Ida A. (Guitzkow) Miller was born on March 19, 1923 in Belmond, Iowa. She attended schools in Belmond and Clarion, graduating from Clarion High School in 1940. Merline married the love of her life, Eddie Petersen on October 2, 1943 in Galesburg, Illinois. Merline was a great Homemaker to their six children, and also enjoyed many years working in the Social field for Your Inc and the Department of Human Services in Clarion. She also enjoyed sharing stories with family and friends of her many adventures and experiences moving around with the family to California, Oregon, Idaho and Iowa. 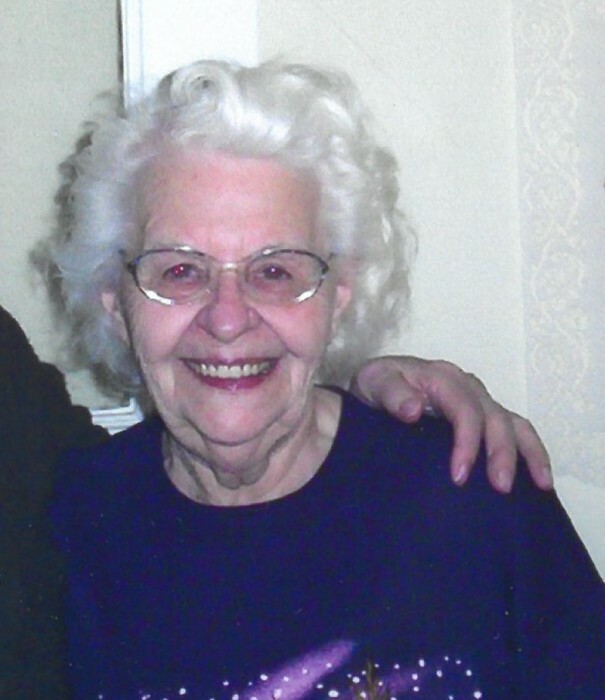 Merline passed away on Tuesday, February 5, 2019 at Rotary Senior Living, at the age of 95 years. She was preceded in death by her parents; husband, Eddie; son, Franklin Edward Petersen; grandson, Christopher Petersen; brothers, Gilbert and Donald Miller and sisters, Dorothy Gose and Lucille Johnson. Merline is survived by her two sons, Morris Petersen and wife Melinda of Goldfield and Roger Petersen and wife Eva of Wooster, OH; three daughters, Virginia Pina and husband Horace of San Diego, CA, Gloria Wilson and husband Rod of Bozeman, MT and Mary Greif and husband Gordon of Eagle Grove and many grandchildren, great-grandchildren, nieces and nephews. The family requests passing on a smile, kind word or hug to someone in need in Memory of Merline.